game: Super Destiny High School Rumble!! 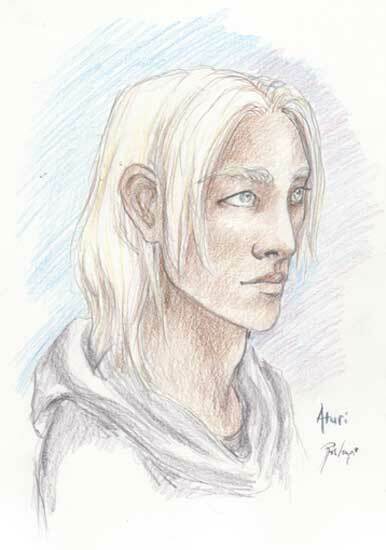 Aturi is a main character from Orphaned Gods. Written by Jessica Van Oort, and art by Ruth Lampi. If you liked this, you can get more art and stories like it by supporting us through our Patreon! The Five Wits Press is a collaborative of artists, writers, gamers, and worldbuilders. We currently publish SF/fantasy novels, webcomics, and RPGs but are open to other creative formats. You can learn more about us here, and you can help support us in creating worlds, stories, tea, and treasures on our Patreon! Which of our creative projects are you interested in?